Start at 50% Max C & J, and build to a heavy complex. At this time each year, the worldwide CrossFit community becomes adrenalized for the CrossFit Games, the world’s premier test to find the Fittest on Earth™. Most will only be involved as spectators, in the stands, or in their living rooms, an elite few will be participating as athletes, and then there are the people working tirelessly behind the scenes to create an entertaining and safe experience for everyone else. 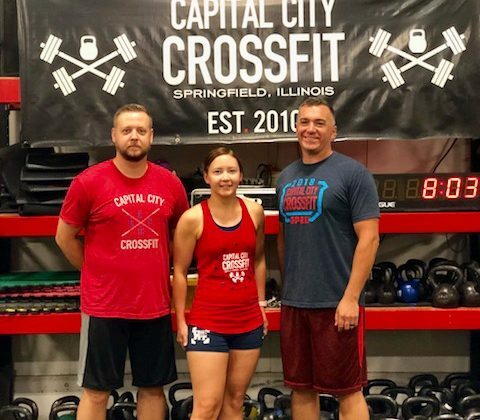 This week, three very talented Capital City CrossFit members will travel to Madison, WI to work at the CrossFit Games. Maddy Cunningham-Reidy will be working as a volunteer on the Security team. Her duties will include working a control access point and verifying people coming and going are authorized in the areas. “I’m excited for this opportunity to be involved with the Games in such a unique way. We’ve been told our duties may change from day to day,” she says. Last year, there were 2,228 applicants for Security positions, and 734 people were selected. As a patrol officer with the Springfield Police Department, Maddy had the qualifications to earn her the role this year. 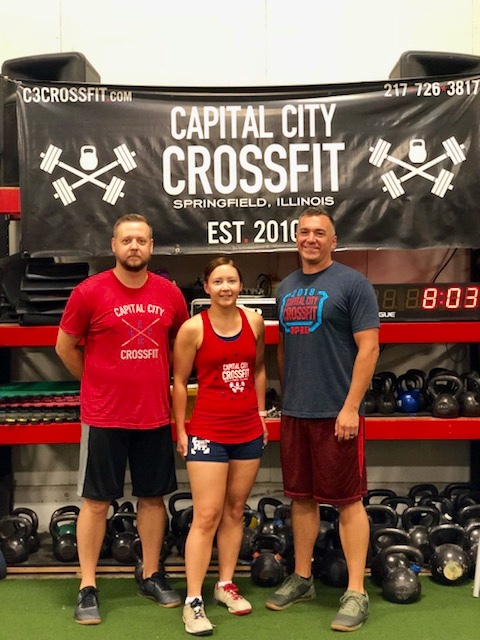 She and her husband Joe, who will attend the Games as a spectator, have been members at C3 since 2015, and this will be their second trip to the CrossFit Games. Michael Greene will be working as a lead spotter on the Media/Broadcast team. His role is to be the “eyes” for the media trucks. From his vantage point on the competition floor, he will report details back to the media team via headset as the action unfolds. This will cue the cameras and production team where to focus. 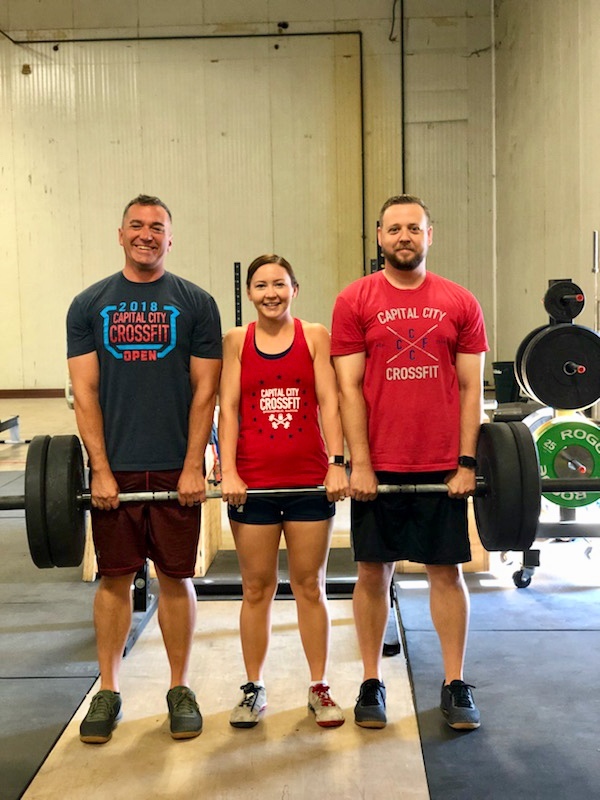 He explains, “I will be saying things like, ‘3 to the dumbbells!’ and ‘5 to the rower, blue shirt, fans going crazy in the South corner!” Michael and his wife Dana and son Emery have been members at C3 since 2015. They have attended the Games as a family in Carson, CA and Madison, WI each year since 2016. Jamie Toland, a 5 year veteran worker at the CrossFit Games, will return this year in a new role as co-producer for the “Hat” which is the scoring and information at the top of the screen seen by at-home viewers. Jamie started as a volunteer writing with the North Central Media team in 2013. He wrote for them during the CrossFit Open and then worked at the Regional helping in the TV production tent. In 2014, he became a paid writer for the North Central and was brought on as the head writer at Regionals. That summer, he was invited to the Games in Carson, CA as an assistant on the Graphics team. His first year working at the Games in 2014, Jamie worked on the Masters and Team events only. In 2015, he was promoted to the Assistant Producer for the “Hat/Bug/Brainstorm” which entailed working on a small team to make sure the information, scores, and event details that were displayed on screen were relevant to the broadcast. Jamie has worked at 11 Regionals over the course of 6 years on the Graphics team including stints in both Denmark and Rio de Janeiro. He has been a C3 member since its inception in 2010. 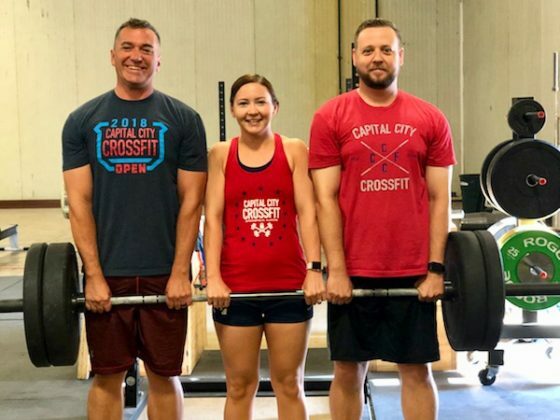 Capital City CrossFit is incredibly proud of these 3 individuals and the initiative they have shown towards involvement with this paramount event. It is safe to say that they have an exciting week ahead of them in Madison in their different yet equally integral roles ensuring the attendees at the event as well as those viewing at home are afforded the most quality opportunity to experience the 2018 Reebok CrossFit Games. Each athlete will start at a different station. Once ALL athletes complete the task at their station, then all athletes will rotate to the next station. Stay at a moderate to moderately challenging weight across all eight sets. No misses. *While two athletes work on the reps, the third athlete runs 400m.